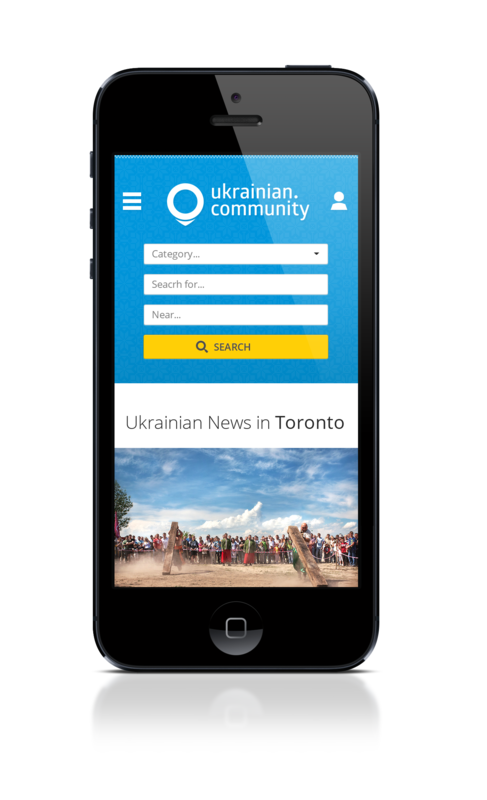 Ukrainian community is an information portal for Ukrainian community in Canada. 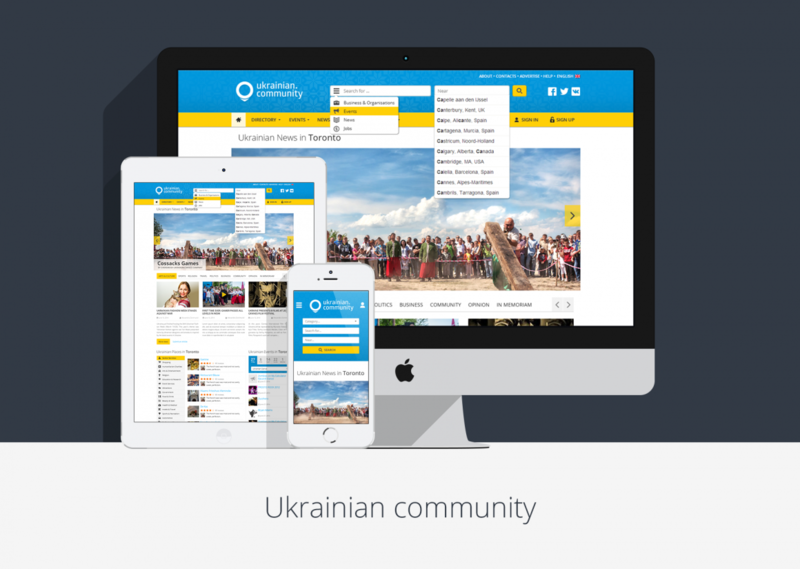 The main purpose of the portal is searching and collecting information regarding all events, enterprises, venues, linked to Ukrainian culture and social medium. 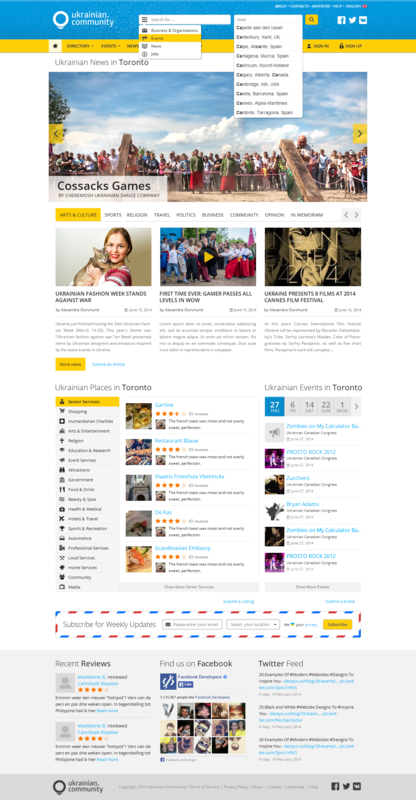 Our client requested striking and modern looking community website design with an entire row of useful features. The first step of our work on the community website design was thorough market research and detailed competitive analysis to determine vital features that had to be integrated in the design. We studied community website design of the competitors and outlined the best featured that needed to be integrated in the design. After that we proceeded with the creation of the prototype. Prototype is essential for the design process as it allows designers and client to stipulate the details of the project on its backbone stage. The created prototype was reviewed and approved by client, which allowed us to use it as a basis for website’s design and the design of its mobile version. 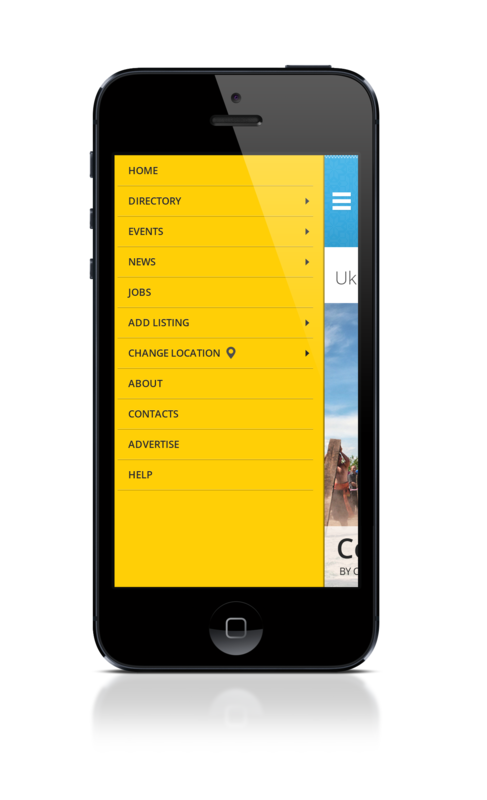 Mobile version of the community website design provides scalability and reachability of one’s business. 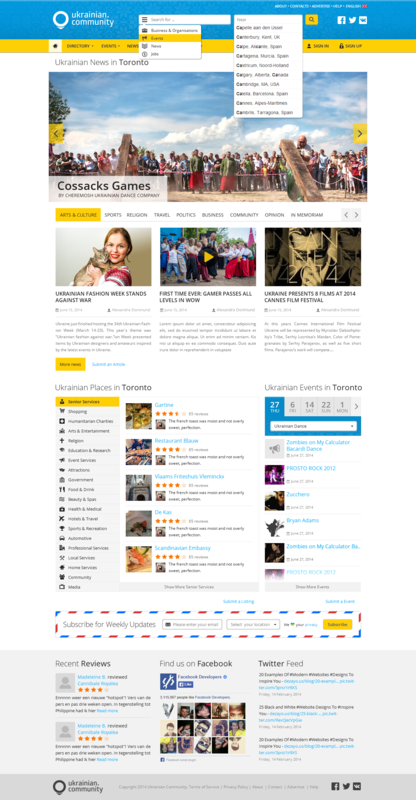 During our work on the project we accomplished such tasks as icon design, letter design and HTML/CSS.